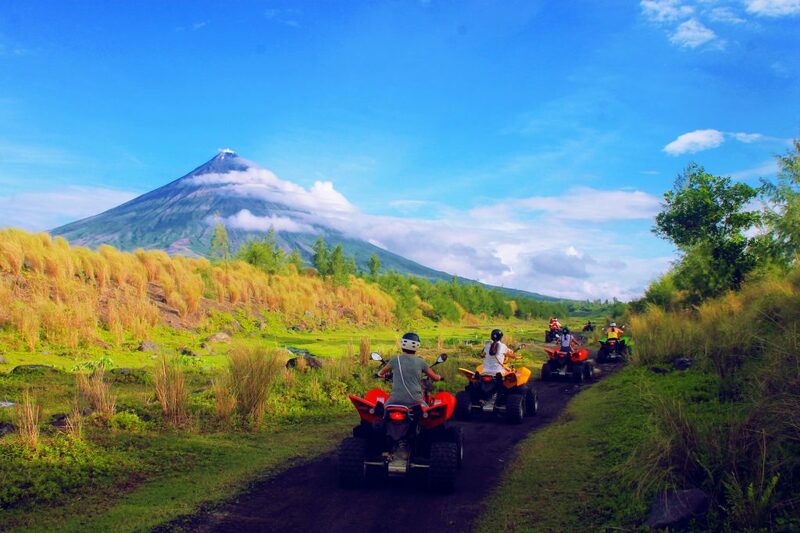 japanese tunnels camalig | Fly Me To Mayon! Vacations are not fun by default. 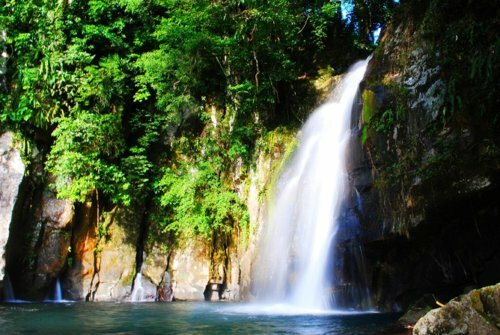 Seasoned travelers can always identify better trips and can single out their worst adventures. So if you are planning to go on a vacation of your own you need to do it right and steer clear from the most common blunders of leisure travel. Heed these pointers. There is certain charm of going on a spontaneous adventure but more often than not this can lead to problems that can easily break your trip. So always have a plan before you go. Where are you staying? Are you already booked? What about your flight details and airport transfer? Is your tour package all set? Do you where you are going? Are you packed according to your destinations? These questions are very basic but it can make all the difference. The more details you cover, the better your trip will turn out. It means you have more time to focus on the fun side than addressing logistical concerns. All you have to do is just let things unfold. Of course there will still be problems along the way but these would be easier to deal with than starting blind and unprepared. This is one of the most overlooked parts of taking a vacation. Many go on a dreamy trip only to have their minds thinking about work problems, worrying about imagined fears, doubting the plan, and minding the small stuff, the negative vibes. If you are in a vacation turn your happy thoughts on. Decide to let go of your worries, convince yourself you are out to have fun. When bothersome thoughts come, shove them away. Be mentally aware of its effects on your mood and attitude towards your vacation. If you are not mindful of your mindset one wrong turn and you will be fuming mad. One wrong order from the hotel cafe and your day is ruined the whole day. Remind yourself the reason why you are taking the trip – to unwind, to relax, and to break free from the stale repetition of life. And be sure to remind yourself things can easily go wrong. That is a reality for every vacation. Be mentally prepared to deal with situations with a cool head. Things will not always go your way. Even in those situations, smile and shrug it off! Many vacationers are more keen on the attractions and the things that a destination has to offer, often forgetting to enjoy one of the best parts of taking a trip to somewhere you have not been before – knowing people in the locality. 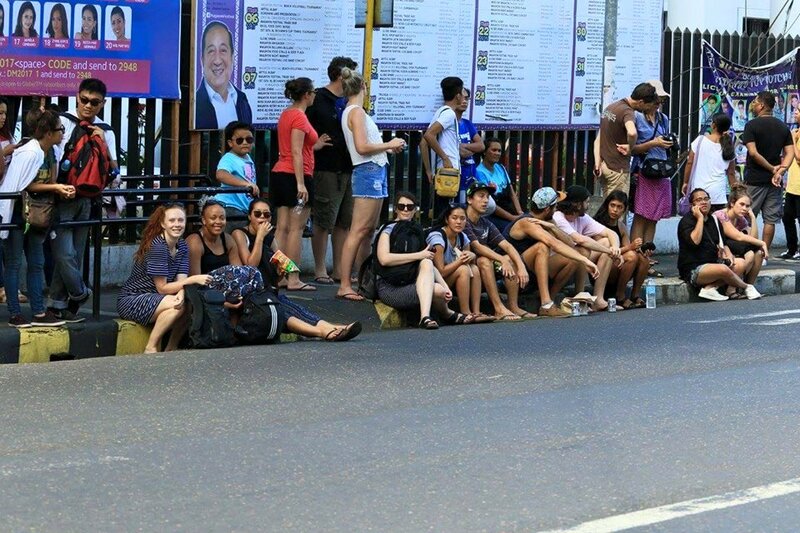 Building local friendship can easily cement your experience of the place. Striking casual conversations with locals can enhance your feelings towards the city. Learning a few local words can also boost your confidence in connecting with people everywhere you go. Knowing the local words for “thank you”, “please”, and “take care” can prop up your appeal to locals, encouraging them to engage you. This can be a digital journal if you are not the “writer” type. You can make an FB album with your photos on your destination city and then make sure to include captions that best describe the photo and the story behind it. This can help you record your trip and the whole experience. It is easy to get through the photos later on and remember all the fun you had, the people you knew, the places you visited, and the things you learned. There you have it. Vacations are expected to be fun. Do not come short of that. Follow these pointers and have a blast. Vacations do not come often. Make sure to do it right the first time. And remember to take note of your bad experiences. That way on your next trip you can work on that and make sure your adventures will only get better. There is just something special about Small Hotels or Inns in a quiet street, especially those that strive for the comfort of their guests. This is what boutique hotels are known for – small in size but big in offerings and personality. 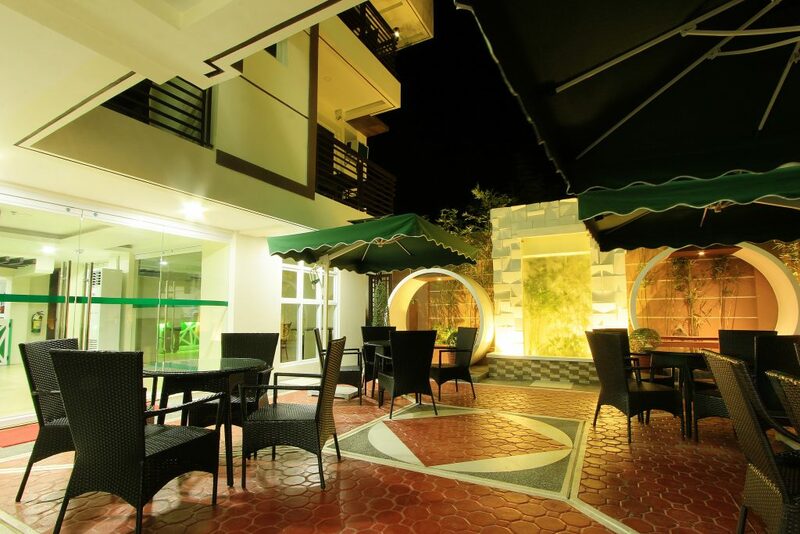 Enter the Emerald Boutique Hotel in Legazpi City. It is intimate and charming with nicely furnished rooms. What it lacks in luxurious space, it makes up with its unique style, comfort, and service. 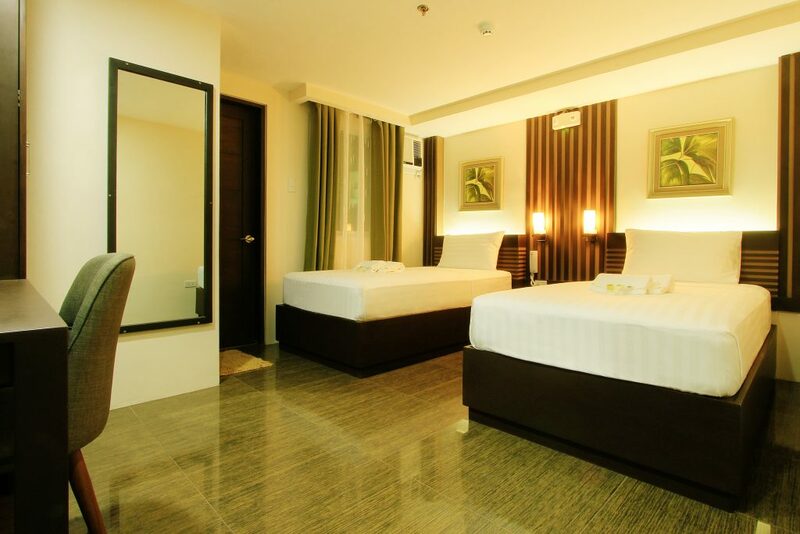 The rooms at Emerald Hotel Legazpi have thick, 5-star quality mattresses with anti-bacterial sheets. The toiletries of this small hotel are also beyond the expectations of many people, considering the published rates of its rooms. The toilet and bath are nice and it is complete with rainshower head showers. 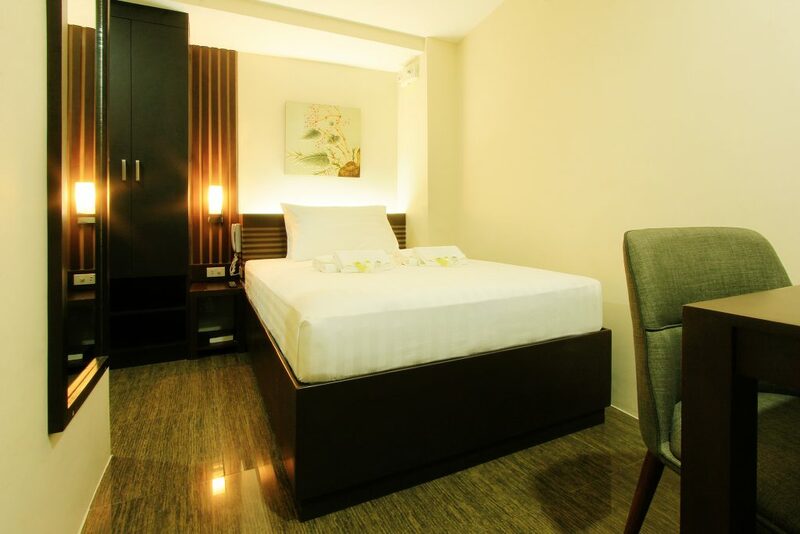 Emerald Boutique Hotel’s Standard Room. The comfy mattress says it all. Quality accommodations is here for the price of a budget hotel. And if it is any consolation, the water that comes out from the faucets (showers too) is treated by the hotel’s own water purification system. Simply put, the water that you take a bath with is safe to drink, comparable to the bottled water you buy from the store. This is Emerald’s Twin Deluxe Room. Two beds, generous floor space, elegantly furnished toilet and bath, with Cable TV and 24/7 Internet access. The rooms are all equipped with cable TV and each floor has its own dedicated Internet line. In fact every part of the hotel has a decent WiFi signal, even the lobby, corridors, and outdoor spaces. 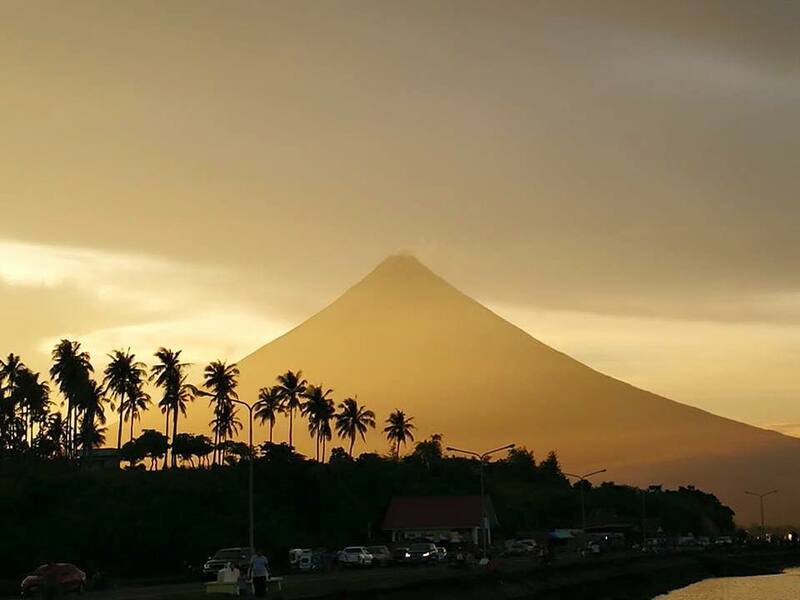 Some of the third floor rooms have a Mayon view, while some rooms on the 2nd and 3rd floors have access to a veranda. 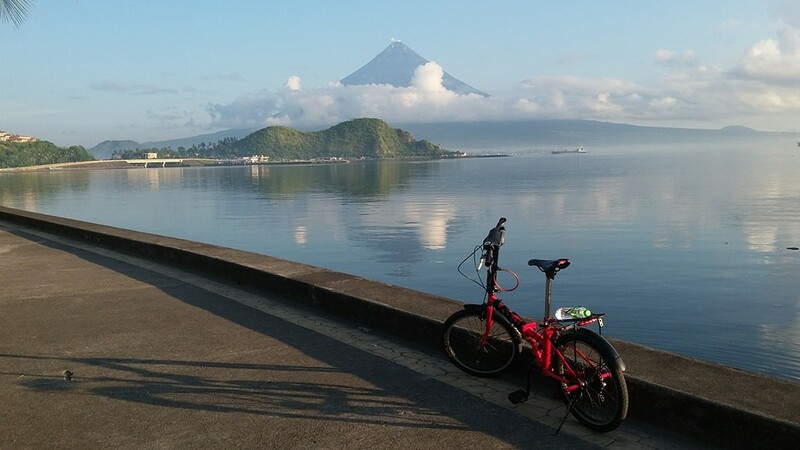 A 3-minute walk to any direction will get you to the very heart of Legazpi City. Restaurants abound and Jeepneys drive through Rizal St.. These can ferry you through almost all routes in the city. 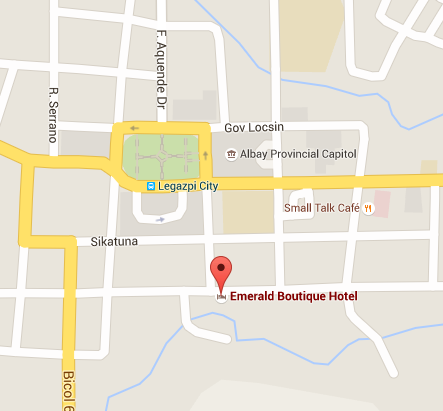 Emerald Boutique hotel is located right in the heart of Legazpi City. 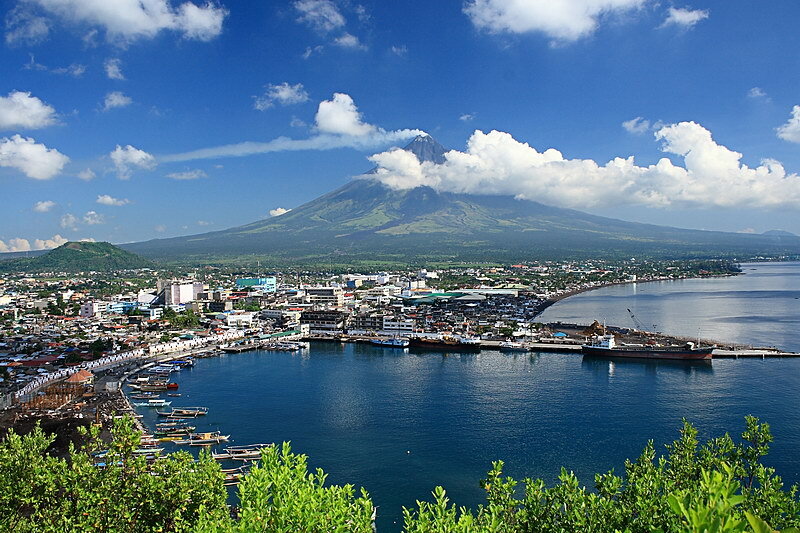 It is just a 3-minute walk to the seat of power of the province of Albay and the local government of Legazpi. Restaurants are also near the hotel. 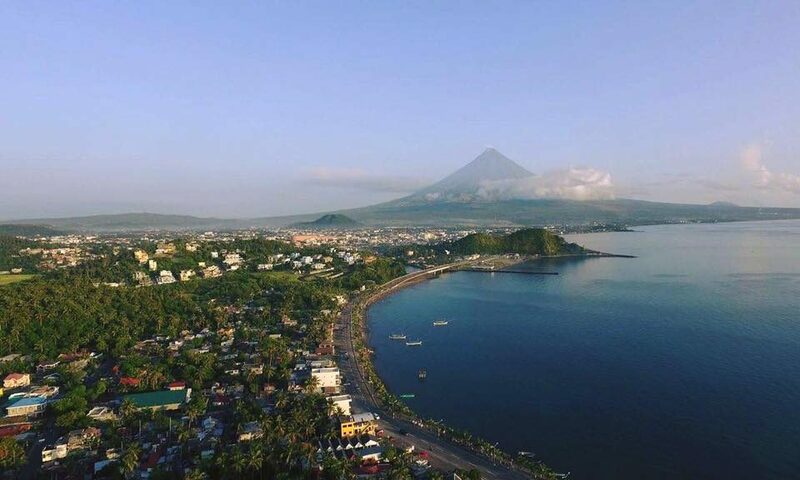 If you fancy roaming around the city the hotel is just a few meters away from one of the of main streets of Legazpi (Rizal St.) where public utility jeepneys pass through driving people in and around the major routes in the city. 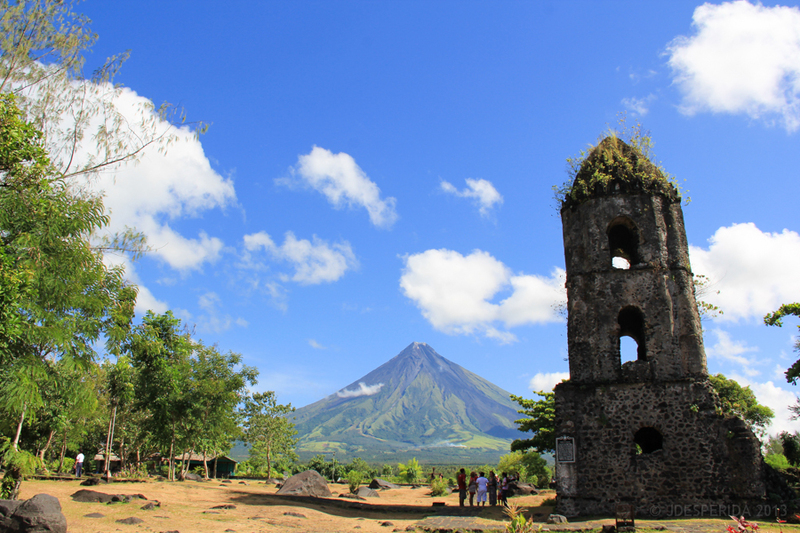 Do you want to visit the famous Cagsawa Ruins? One jeepney ride from the hotel is all you need. 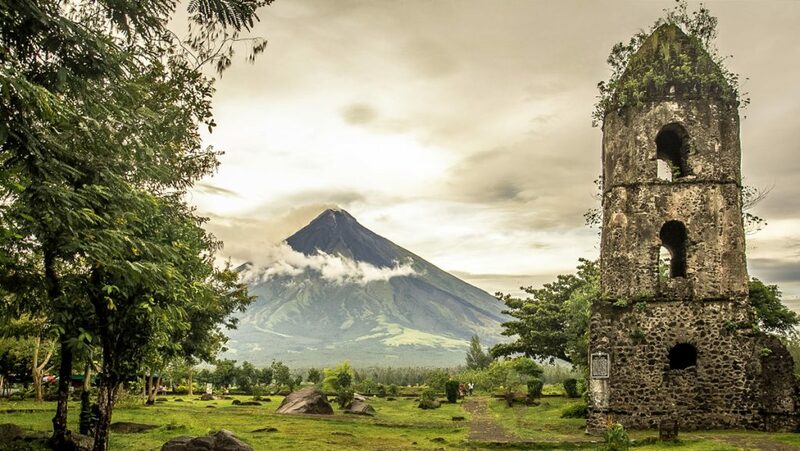 Do you want to hike up to the top of Lignon Hill and witness the majestic beauty of Mayon? 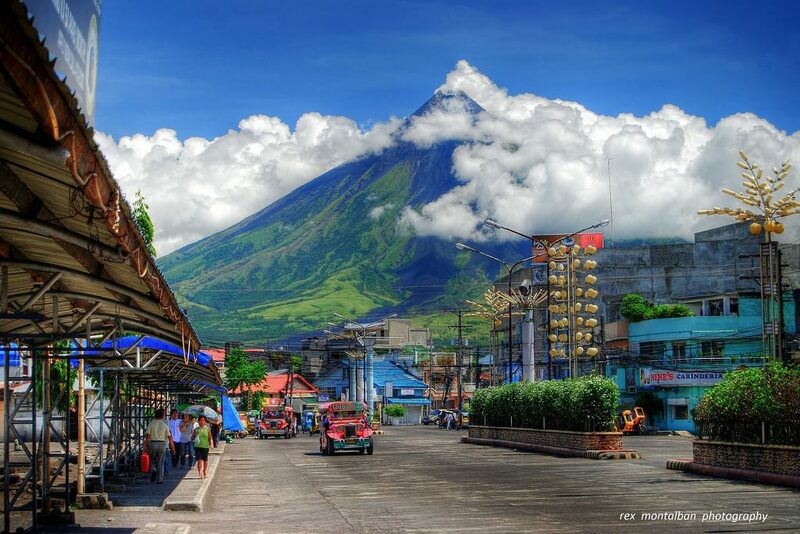 It is just another jeepney ride away from Emerald Hotel Legazpi. This is one of the most important features of the Hotel – its accessibility to the many tourist attractions in the city and beyond. 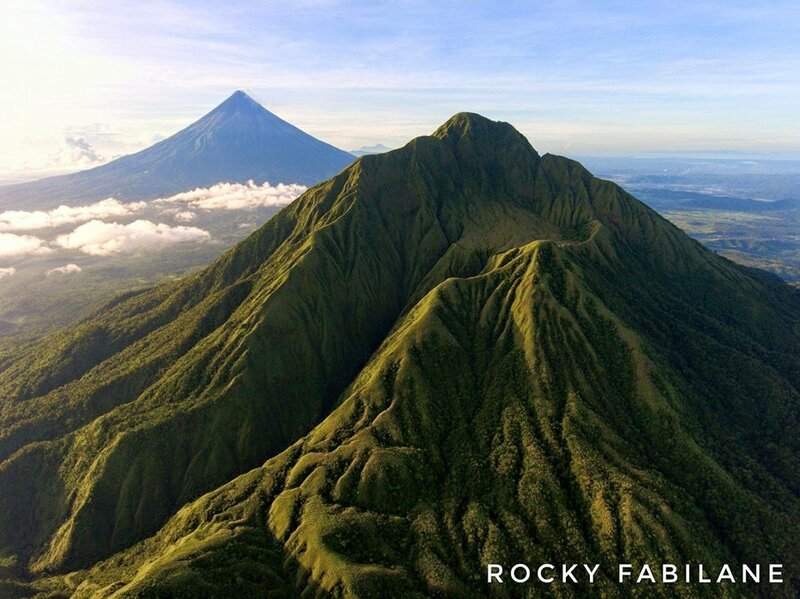 Emerald is in Legazpi and the city is at the very heart of Albay Province making it a convenient jump-off point to many local attractions like the Vanishing Island in Malilipot, The Mayon Rest House in Tabaco, Vera Falls in Malinao, Kawa-Kawa Hill in Ligao, Danao Lake in Polangui, the Japanese Tunnels in Camalig, and the Cagraray EcoPark, even the Misibis Bay Resort and Casino. 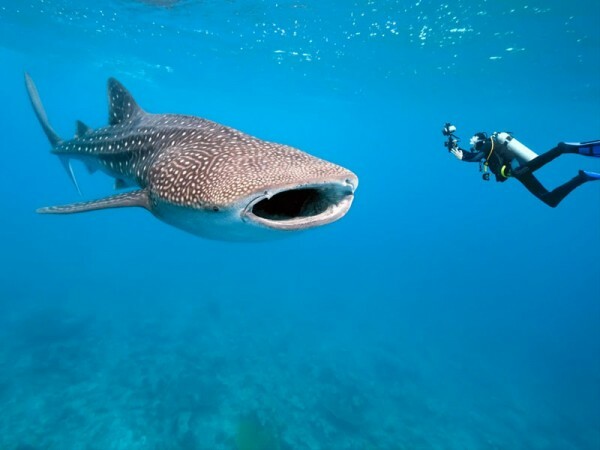 Everything is within reach of Emerald Boutique Hotel and this includes Donsol Bay where the whale sharks or Butanding show up during the summer months. 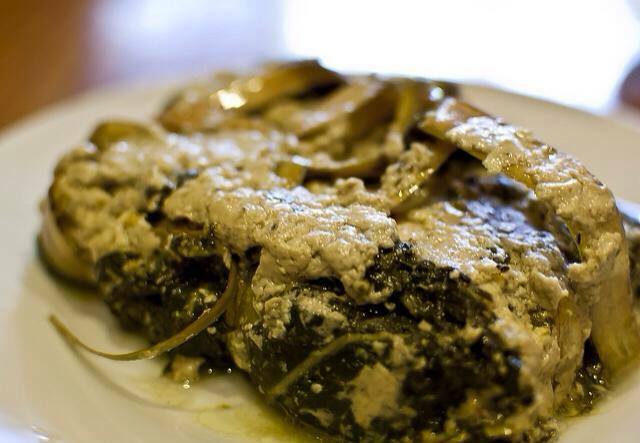 The Emerald Bistro Cafe. This is open all day to serve sumptuous meals to hotel guests. Coffee is also available here. Emerald Boutique Hotel has its own Bistro-Café in the ground floor which serves the guests with the hotel’s complimentary breakfast. It is open from 6:00AM to 10:00PM. 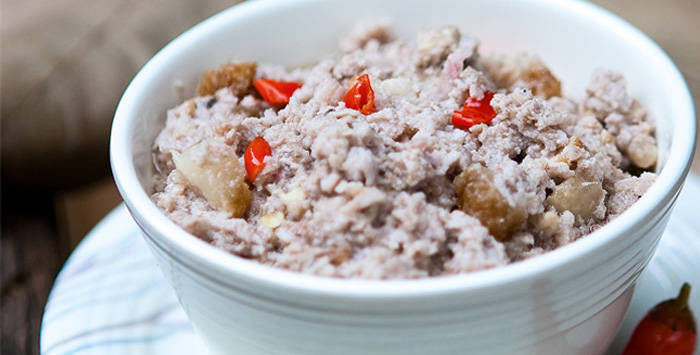 The restaurant also offers mouth-watering Bicol gastronomic treats. Gourmet coffee will also be available soon in the Café. The Emerald Bistro Café opens up to an outdoor space, to “The Garden” which will soon have live acoustic entertainment on the weekends. 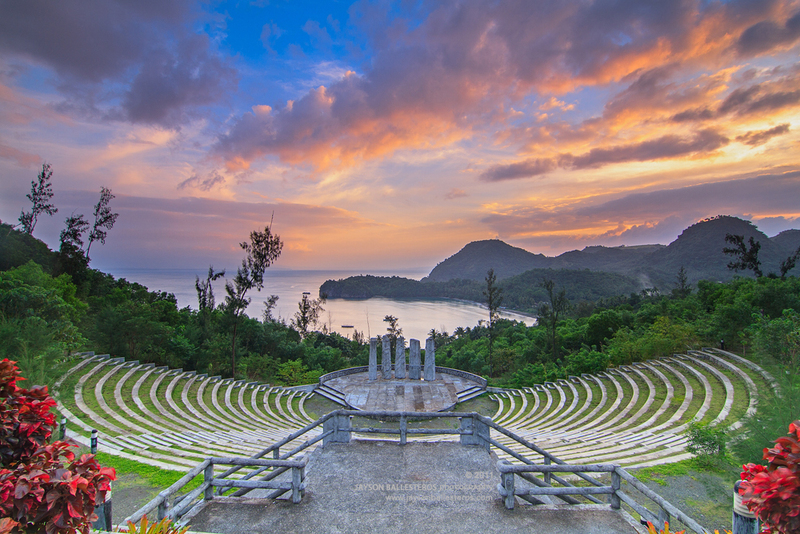 With the parasols, the open skies, and the comfortable seating, this area will surely be a new favorite hangout area for guests and Legazpi locals. The Garden, an outdoor space that connects the indoor dining area to the elements outside. You can dine here if you want to. 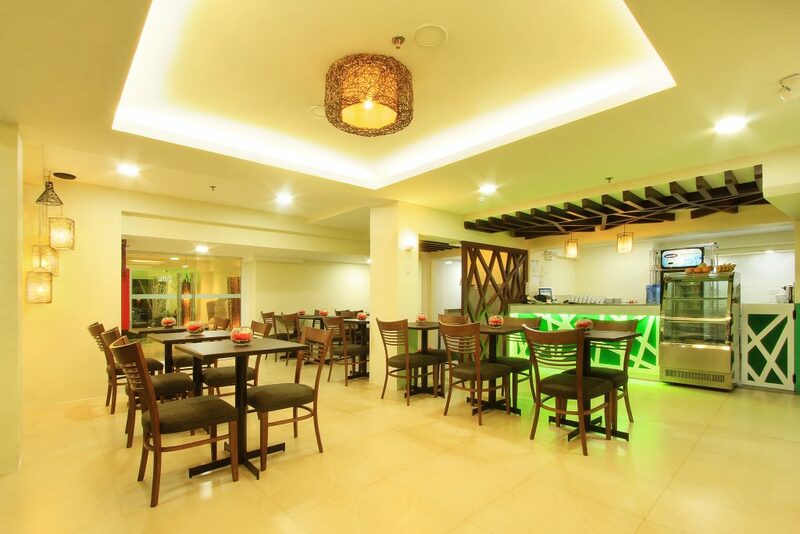 For those who love to sing their hearts out there is the Emerald KTV rooms. The sound proof rooms are fully equipped with high quality audio-visual equipment ready to provide music and vocals even for the most demanding and seasoned karaoke singers. People are having so much fun in Emerald’s KTV rooms. This room is sound proof and equipped with top of the line audio visual equipment. 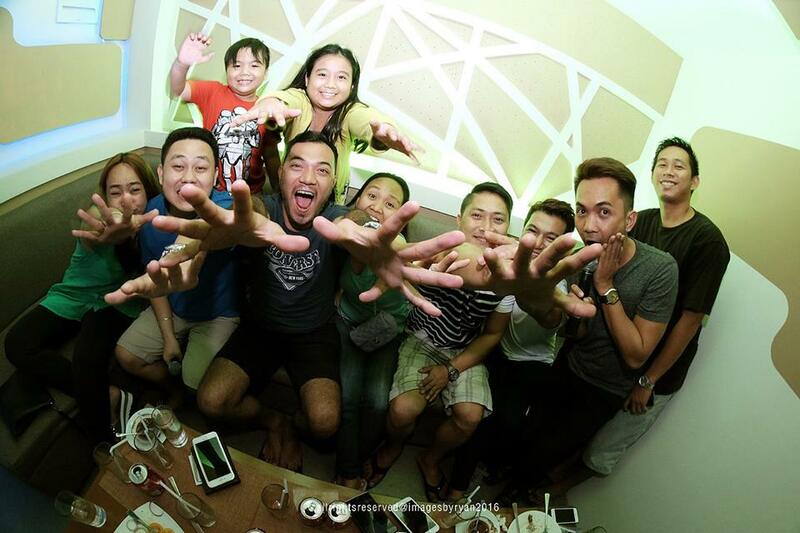 The Videoke rooms can be rented out exclusively for three hours for only Php2500. 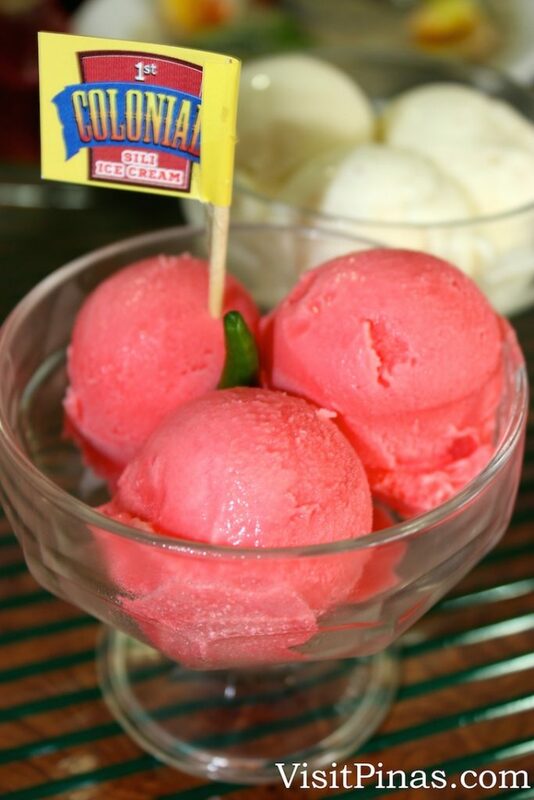 This rate includes a consumable food package that can fill up the appetite of up to 10 people. Not a bad deal at all. 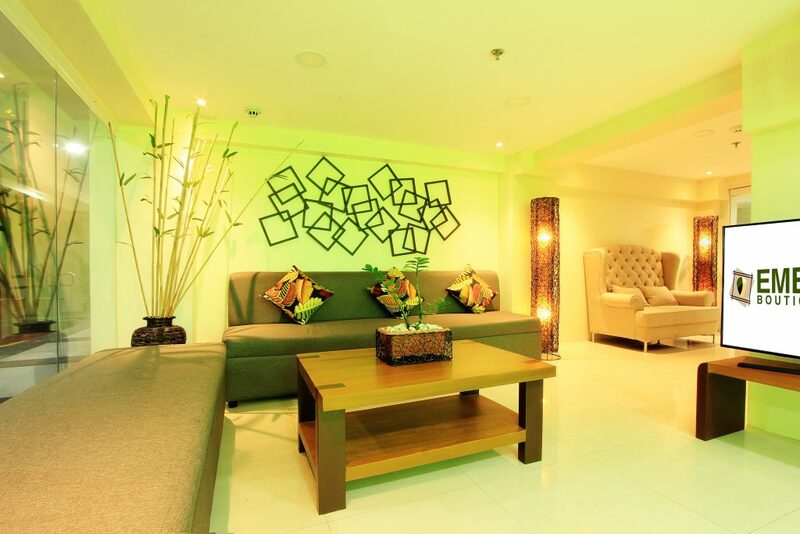 Emerald Boutique Hotel’s lobby. This intimate and welcoming space represents the very feel of this charming hotel. Emerald Boutique Hotel offers intimate accommodation with 30 fully air-conditioned rooms. This gives the hotel a homey feel and with its friendly customer service this hotel delights and delivers. Even with the limitations of its size, the hotel has all the amenities that matter most even to a seasoned traveler. The hotel’s front desk. 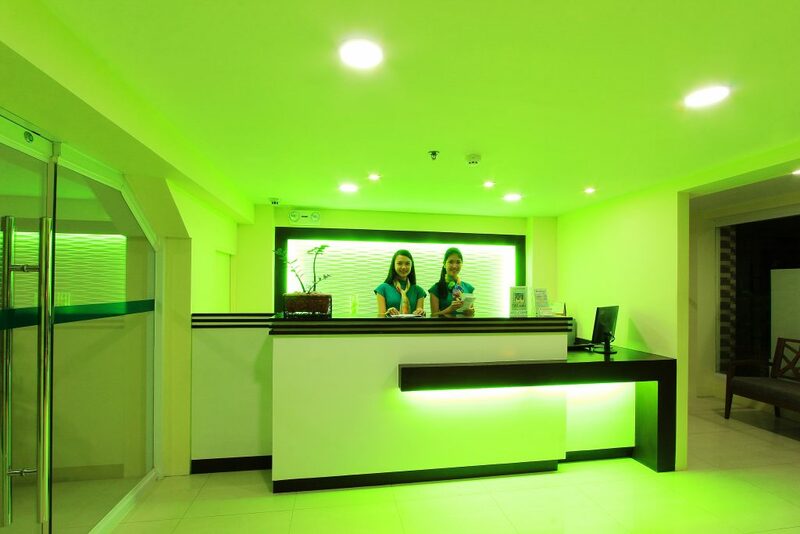 That green lighting reflects the emerald standard pursued by this up and coming boutique hotel. 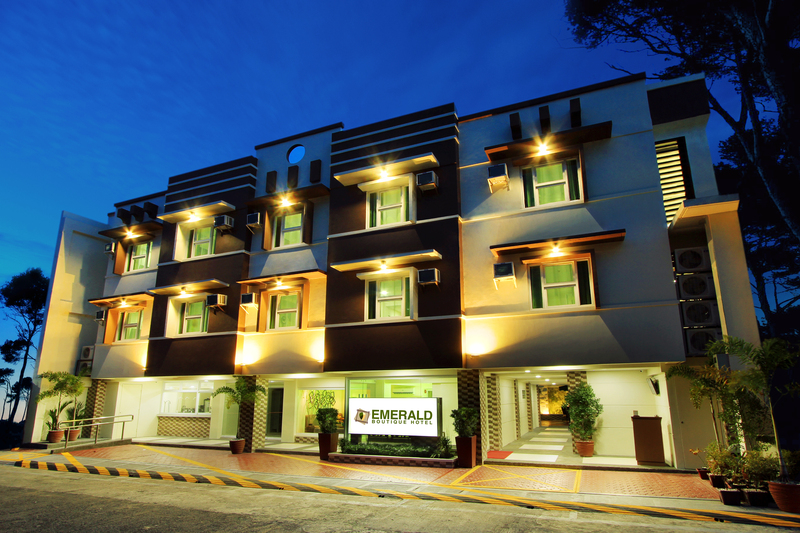 With room rates going for as low as Php1500 per night, the Emerald Boutique Hotel is bound to exceed all your expectations.